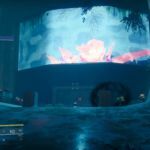 My feature-length look at Destiny 2‘s first 15 hourscan be summed up as follows: the Destiny series has returned with a better story, superior zones to shoot bad guys in, and a more pronounced sense of purpose. It has also returned looking a helluva lot like the series’ first always-online, first-person shooting game. Those initial sessions left me optimistic about the state of the sequel, which is why I chose to cover it in “pre-review” form at all (let alone in a positive manner). Still, I wanted to tell a more complete story of how much content ships in this game—and whether Destiny 2‘s network requirements might get in the way. 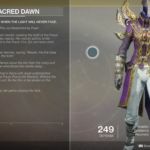 One week of questing, shooting, and engram-collecting later, I have a verdict. I do this knowing fully well that Destiny 2 has content-related surprises up its robo-armored sleeves, thanks to weekly events and the like. 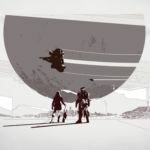 But I have mostly reached the edges of the game’s on-disc content and can see the full picture of what Bungie expects its fans to play for weeks and months on end. 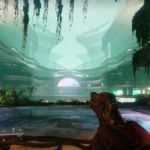 In short: Destiny 2 has an ideal first-person shooting player in mind, the kind of player that values a compelling “hop on a few times a week” game of exploration and adventure as much as a game that’s about sharp shooting. 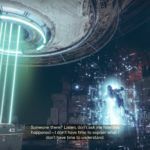 Destiny 2 soundly beats its predecessor in terms of confidence and swagger, although a heap of repeated loot may leave a few gamers in the cold—in fact, it may annoy OG Destiny fans to boot.Destiny 2 is what the first game should have been all along, which means, at long last, there’s a Destiny game finally worth recommending. The Traveler, the giant floating orb from the original game, isn’t in good shape. 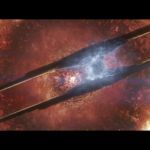 And this is the destructive craft that’s making mincemeat of our precious Traveler! 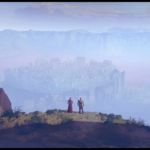 Depending on how much you played the original games, you’ll receive various vignette shots that detail past adventures. 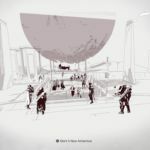 This is the last serene moment you’ll see from the original game before booting D2. Your opening march to salvation begins in this gorgeous mountain zone. Hawthorne eventually finds and recruits you. 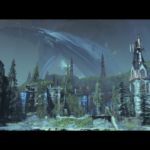 Welcome to the scenic European Dead Zone (EDZ). The EDZ has a variety of outdoor and indoor environments. 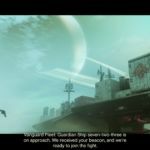 The moon of Titan, not to be confused with the game’s class of Titan. This is probably the best zone in D2. 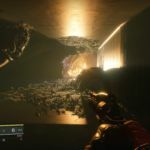 While the giant floating platforms are pretty fun on Titan, it’s this insane, abandoned underground city that will set your tongue wagging, both in looks and in the missions it contains. Another breathtaking shot from the underground city within Titan. 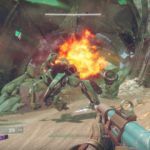 Some of Destiny 2‘s fire effects look goofy, but the lighting effects are out of this world, especially in action. Oh, yes. You get to ride a tank or two. Nessus cranks up the color thermometer quite a bit. 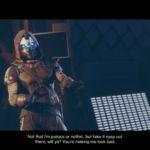 Every screenshot I took of Cayde-6 had some fun dialogue going on. Nathan Fillion really shines in his return to the series. This game may not change your mind about first-person platforming, but at least it looks good doing it. Lots of stuff goes boom in D2. We’ll be cool about it, Cayde. Swear. Won’t even screenshot this moment. 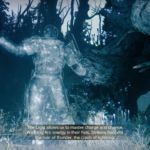 When you have advanced enough to unlock a new subclass, you head to this eerie, story-filled forest. Meet and hear from light projections of Titans, Warlocks, and Hunters who’ve come before you. Ikora and Zavala have a chat. I really could have spent a lot of my D2 playtime taking screenshots. The whole world is so fully realized. Just, you know, some weird crap sticking out of the ground. I’ll start with the game’s campaign, because it’s the river from which all other Destiny 2conversations must flow. The story doesn’t expand much beyond what I saw during my pre-review sessions. An evil force known as the Red Legion has come to crack open the original game’s “Traveler” (a massive, mysterious orb that floats over Earth and grants this series’ heroes many powers, including immortality). You’re one of the rare Guardian heroes who somehow regained your original powers after a terrible Red Legion attack. You are tasked with facing off against the Red Legion, disrupting its nefarious plans, and reclaiming the Traveler’s powerful “light” force. 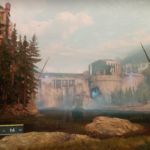 The trick about Destiny 2 is that the campaign isn’t exactly a straight-line, choreographed run through missions. There’s definitely a progression, marked by highlight missions that you have to do in order. But the game is designed with a free-flowing, come-back-for-more system. This approach delivers combat around every corner and plot around some of those corners. On paper, it’s all very similar to Destiny 1. You’ll fly to one of the four default planets, then run around and pick up a variety of quests that pop up in your vicinity. 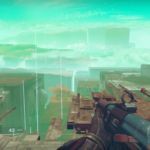 The first Destiny was pretty awful, however, at leading players to intriguing paths and battlegrounds. 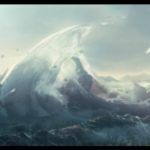 The starting four planets in D1 proved to be short and architecturally boring. 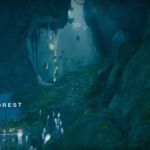 D2, on the other hand, has planets and moons stuffed to the gills with structural density, intriguing biomes, and paths that weave above, below, and through the ground for the sake of compelling marches through gangs of entrenched foes. I’ve described some of the planets’ differences in the gallery above, but I must impress upon you: these new planets are gorgeous, dense, and varied. The same goes for the missions packed into their bones. 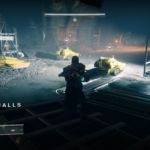 Destiny 2 has launched with a scant five Strike missions, which players can jump into in a random, matchmaking queue, with the exception of a weekly “Nightfall” Strike that adds increased difficulty and modifiers to a single mission. (PlayStation 4 players get early access to a sixth Strike, by the way, and considering what cool content it is, that “timed platform exclusive” is just… ugh.) 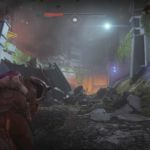 Strikes, like last time, require three players, higher energy levels, and harder work to succeed.All of Destiny 2‘s new Strikes are much bigger in scope and scale than any of the Strikes in the original game—which I would say about the rest of Destiny 2‘s primary co-op content, really. Expect huge alien outposts, massive leaps up and down in elevation, and dastardly pacing in terms of enemy and boss waves descending on the Strikes’ craziest battlegrounds. 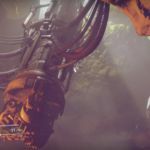 But with so few Strikes on offer at launch, Bungie lets players choose whether or not to get bored with the selection by overplaying these five missions. My advice: pace yourself on the Strikes, since D2‘s overworld has so much more emerging content than D1. That will be cold comfort to those who prefer when a co-op game discretely sets its start, middle, and finish conditions. But I had more fun focusing on the first week’s bonkers-hard Nightfall tweak on a Strike mission dubbed The Arms Dealer; I enjoyed learning its every nook and cranny, optimizing its battles, and making sense of its tricky Nightfall conditions, which included a timer and a cycling of which “energy” weapons worked best every 30 seconds. As of press time, Destiny 2‘s six-player Raid missions were about to go live. My character still isn’t high-powered enough to access them. I complain about, then accept, that math-related issue below. Pretty much every night since the game’s launch, I’ve lost hours falling into the D2‘s default gameplay loop. I’ll land on a planet of my choosing, then activate a “patrol” mission. This leads me to one or two delectable battles, with largely the same enemy types and species from D1 (with more variety among each species’ ranks) dancing around with very sharp dodge-and-flank or you-charge, I-snipe tactics. After that, I can pop an “adventure” flag to run-and-fight across three or four increasingly tough battlegrounds (which the game leads me between via checkpoint markers). Along the way in that adventure mission, I will almost certainly run into either a “public event”—which is a time-limited opportunity to take down a massive boss or major objective—or a “legendary enemy”—which is just a tough, oversized creature who pops up somewhere on the map with a vague hint of lights and sounds when you’re close enough. Through all these paths, there’s always a combination of an intense, underground rumble, a massive, open-field assault with other online players at my side, and a dart-between-buildings rush to take down foes. As a result, I’ve, uh, been late to work every day this week. Let’s go back to the campaign, because every mission tries to tell some piece of the story. Like I said in my pre-review, Destiny 2 reveals plenty of subtle and solid story via squad chatter in your ears during missions, and this happens all the time—even if you’re doing a seemingly simple “kill 12 snipers” patrol mission or repeating a longer mission for the eighth time. 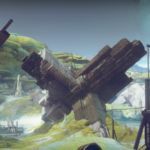 Destiny 2 understands that you’re coming back to the same planets and possibly repeating or rehashing certain terrain many times. It wants to feel solid, fun, and an itsy bit revealing every single time. In exchange for that drip-feed of character interactions and story tidbits, you have to accept that Bungie isn’t interested in crafting a story about one great hero. You don’t get a single, well-written protagonist to root for as you make your way across Destiny 2‘s planets. 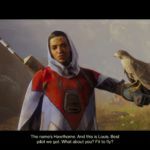 Bungie wants you to root for yourself—and to trick you into thinking these voiced actors and their reams of dialogue are actually a bunch of people who are super into your Guardian status. 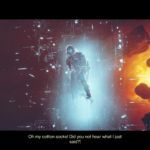 The writing staff just about pulls it off—and I offer that as a huge compliment, since I found myself shocked to suspend disbelief for even a millisecond to think that Nathan Fillion’s voice as Cayde-6 was cheering, loudly and specifically, for me, the Titan with the shiny, sun-bullet gun. Every “exotic” piece of gear you pick up has a story attached. This, to some extent, replaces the web-only “Grimoire” depository of text from the first game. Bungie just sorta goes nuts with these stories. This is a much younger version of this gun. I now shoot this bad boy at a power level of 274. I’ve waged some serious battles with this beast, as well. Strangely, Bungie rushes you into not giving a crap about roughly one third of this content. As it turns out, by the end of my first week with the game, I had nearly maxed out every possible way to get “better” loot. Each week, players can take on missions and tasks in a number of categories, including the player-versus-player Crucible, the special Strike missions (which must be played in a larger group), the extra-long, extra-hard Raid missions (which require even more players and power and weren’t live in the game’s first week), and more. 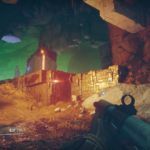 Once you reach level 20, you’ll only need about 10 hours of play throughout all that awesome content I listed earlier in the article, just romping around planets and picking up plot-filled adventures, before Destiny 2 starts to laugh at you. Sorry, mate, it veritably says. 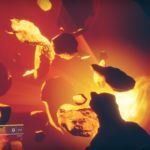 Most of that discretely programmed content littering our alien planets is meant for lesser players, and we’ve fast forwarded you to a whole new tier of “exotic” loot. At this point, you can’t just run around planets, raise hell, and be satisfied that your every action is accruing you a planet-specific currency to possibly get cooler loot. 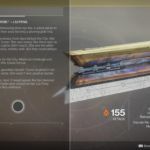 To max out your Destiny 2 strength, you have to start checking these weekly checklists of specific tasks, warping to those points, and doing what you’re told. 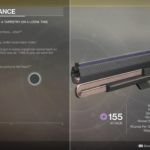 Otherwise, you will be forbidden from the game’s Raid playlist of content, which requires a “power level” (the number determined by all of your equipped weapons and armor combined) of at least 280. As I write this, I have plateaued at 270, which is fine. I’ll get my number bigger at some point. But I also have a few nifty unplayed “adventure” missions on my maps, and they aren’t doing squat for my progress. That just seems silly on Bungie’s part. Why not let the numbers grow a little more slowly? 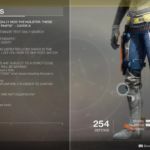 My suspicion, which nobody has confirmed: Bungie wants you to reach level 20 ASAP… because the game’s microtransactions can’t be purchased with real money until you reach level 20. These are almost all cosmetic, and the power-specific ones are wimpy, but there’s still a real stink of bean counters rushing players through some of Destiny 2‘s coolest stuff just so we can start paying for loot boxes. I’m not sure this dooms Destiny 2 in terms of longer-term play. 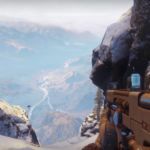 Bungie expects players to reach a level cap and get into a rhythm of playing and replaying certain content in hopes of earning those crazier, rarer guns and pieces of armor. But, gosh, they didn’t have to rush it that fast. This is a sequel, not an expansion pack. Right?